note: The Sweet 16 and three Sunfish have been sold…also, there are six excellent Winner Optis for sale, not 4. 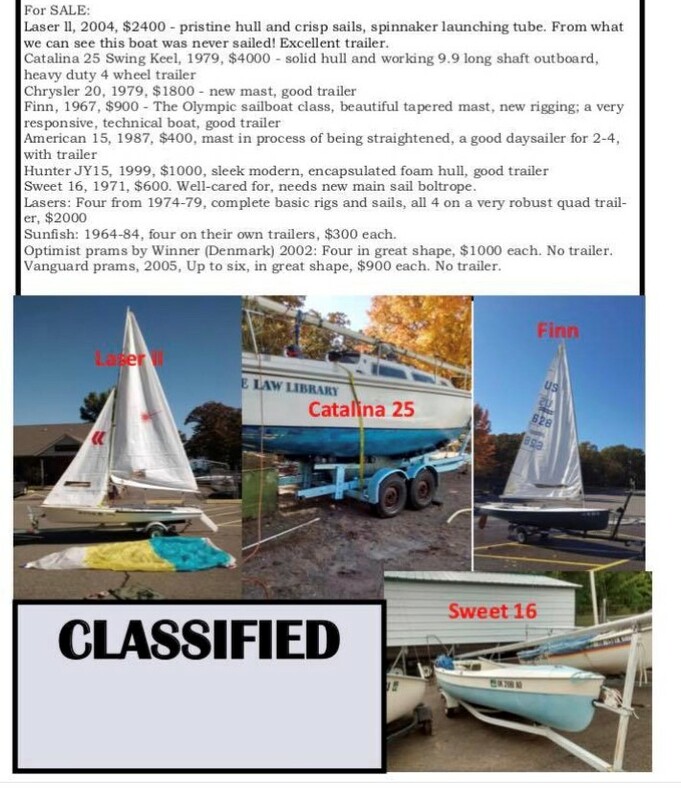 With new training boats coming this Spring, the Lake Thunderbird Educational Foundation has over 20 sailboats for sale. From 8’ prams to 25’ sloops!